Media in developing countries should play a greater role in improving gender equality, according to a new book by a sociologist at City, University of London. In her book Globalization, Gender Politics and the Media, Dr Carolina Matos says that media organisations are essential in changing the way that women are represented. 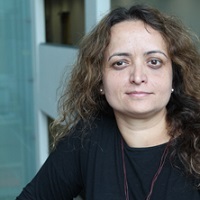 As part of her research, the Department of Sociology lecturer interviewed a range of sources in Brazil on problems with the ways women are portrayed and how media can make a difference. Dr Matos says studies have shown that media and advertisers often link female empowerment with choice, individuality and freedom as consumers. However, she argues that this representation of women’s rights does not promote the need for the equal status in society or combat ongoing sexism, domestic violence, gender stereotypes and low political representation in countries like Brazil. She said: “This book looks particularly at regions of the world where gender equality has started to show some signs of improvement in the last decades, such as Latin America, situating the case of Brazil within the global quest for gender justice and transnational activism. “Making use of feminist political theory and engaging with the concept of equality, it emphasises the need for feminism to strengthen the correlation between women’s material wellbeing with the examination of the reproduction of values and beliefs on gender in media outlets. The book includes a selection of interviews with experts from a range of international organizations from the US, Brazil and UK, as well as politicians in Brazil and bloggers. There is also a sample of media analysis of adverts, commercials, posters, campaign material and feminist blogs. Dr Matos uses these sources to examine the challenges that gender equality faces in Brazil and around the world, and explores the ways in which the media can play a role. Academics must return social theory to concerns about female representation, image and language about gender, alongside concerns of economic freedom. In Brazil, there must be collaboration between researchers in the north and south. Campaigners must use various digital media to promote women’s rights, their roles in society and wider female political representation. 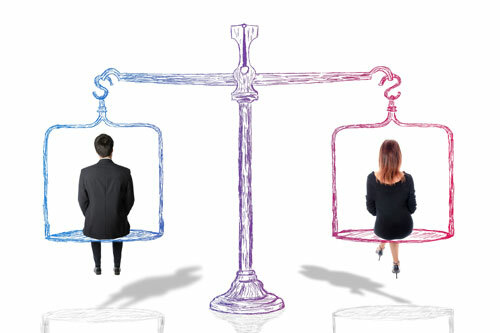 Media newsrooms should introduce gender equality codes of conduct for reporting, defend women’s rights in editorials, use more women as news sources and promote gender equality values within their organisations. Government policy should include efforts to increase international collaboration between groups working for better gender equality. Dr Matos says her book looks critically at feminist media studies, which she explains have gone through a “cultural turn” and moved on from concerns about economic injustice to issues of empowerment through the media. “Many of these debates have focused on the current ambiguity surrounding media representations, which are inserted within post-feminist texts that tend to equate female empowerment with choice, individualism and consumerism,” she said.